Scotland is located in the north of Great Britain, covering one third of the island. It consits of more than 790 islands, including the Northern Isles and the Hebrides. The only border it shares with is England in the south, the rest of the country is surrounded by water. The weather can be quite rough, rain, clouds and storms are part of daily life. The main reason for that is Scotlands location, facing the Atlantic coast in the west. However, the Scotch are well prepared for those weather conditions, cozy pubs and restaurants are spread all over the country. of Loch Ness, but it has way more to offer! 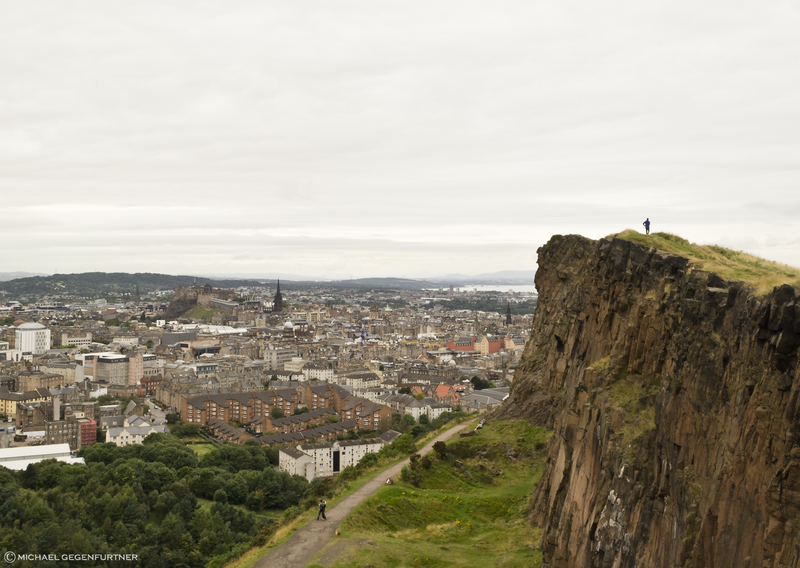 A good point to start exploring Scotland is the country‘s capital Edinburgh. long, which is 1.8 kilometers if converted. be booked daily, a creepy experience for everyone. 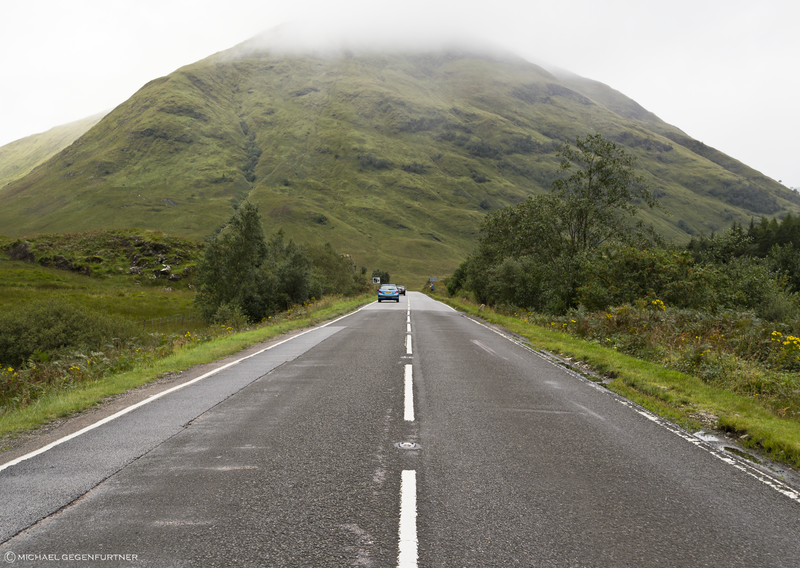 The best way to travel around Scotland is by car. The country is pretty small, distances can be accomplished easily by driving. Traffic is rare and roads are well developed. Just a few hours north of Edinburgh is Inverness. 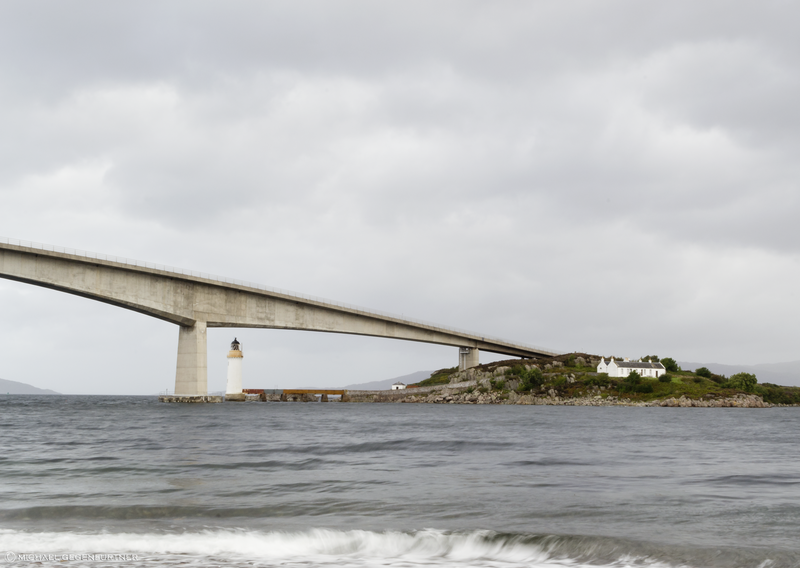 It is well known for its nearby, world famous lake Loch Ness and its monster. Loch Ness is the second largest lake in the country, due to its long drawn-out shape, it is 37 kilometers long but only 1.5 kilometers wide. Special about this body of water is its deepness, it is said to be the second deepest lake existing all over the British Islands. Until today there is an on going discussion about the Loch Ness monster. Various scientists tried and still try to prove its existence. The story of the creature reaches far back as the year 565. In a story of Abbot Adamnan, he writes about a monster which attacks a man at the river Ness. There is no definite proof as of yet which validates if indeed the legend of the monster is true. 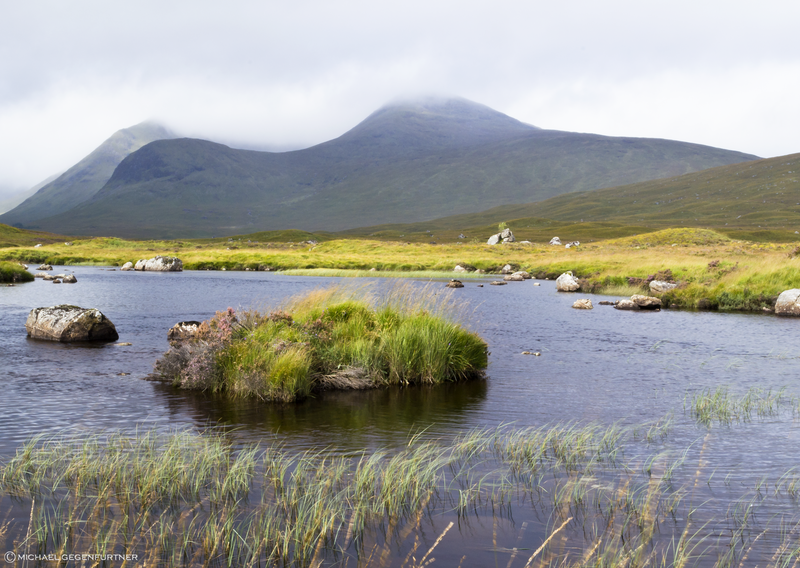 The Highlands are shaped by uncounted glens, which is translated as valley, and lochs, the scottish word for lake. This unique landscape was formed due to volcanic acitivities. The volcanoes got grindid by huge ice streams during various glacial periods. 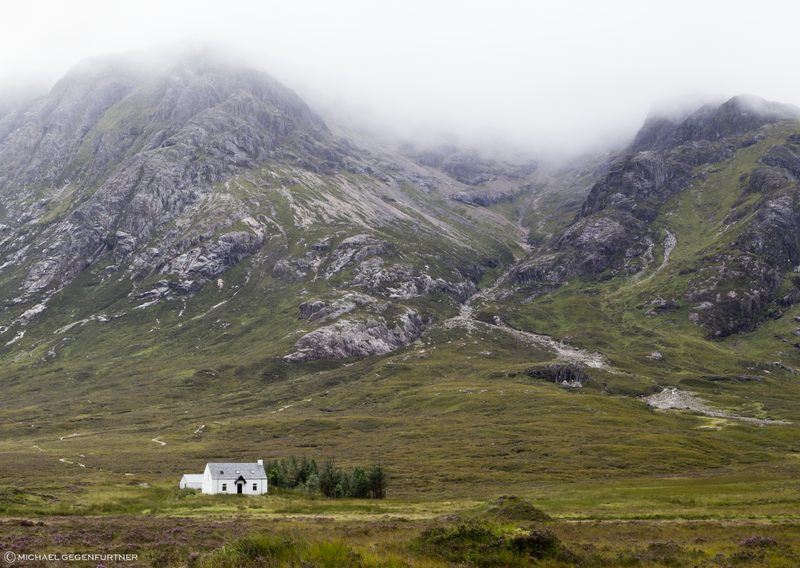 Afterwards, constant erosion gave the Highlands the appearance which attracts millions of tourists nowadays. There are plenty of possibilities to hike and explore one these fascinating valleys. Most tours can easily be arranged by oneself, tourguides are not a necessarity since there are well developed tracks and routes all around the area. and wildlife, makes this place so unique and spectacular. A highlight which should definitely be included in every travel itinerary of Scotland. 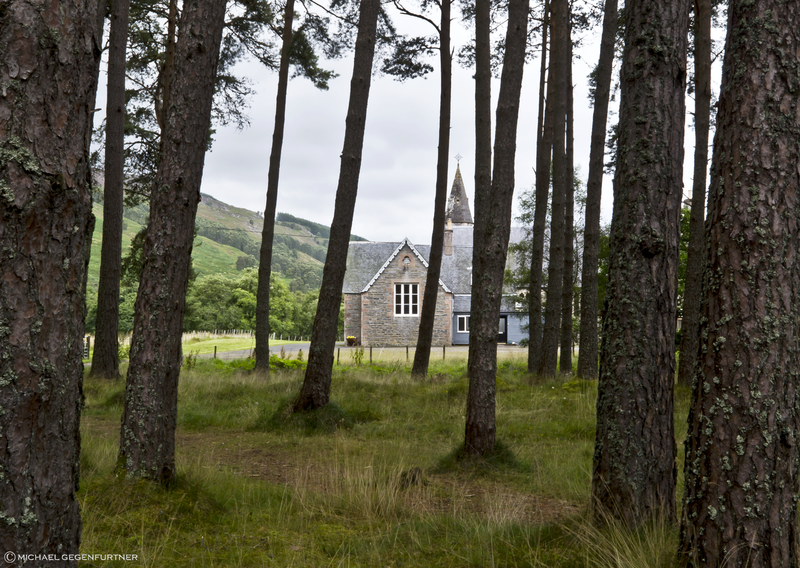 It is located about 30 kilometers west of Loch Ness and easy to reach by car. 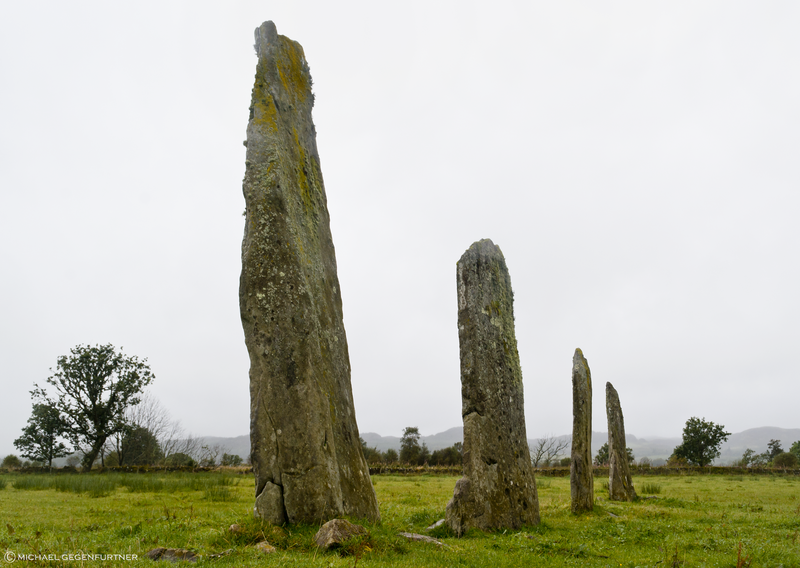 The Highlands of Scotland are full of historical sights, going back to the times of druids and wizards. Mysterious stone circles and ancient carvings are scattered all over the place. 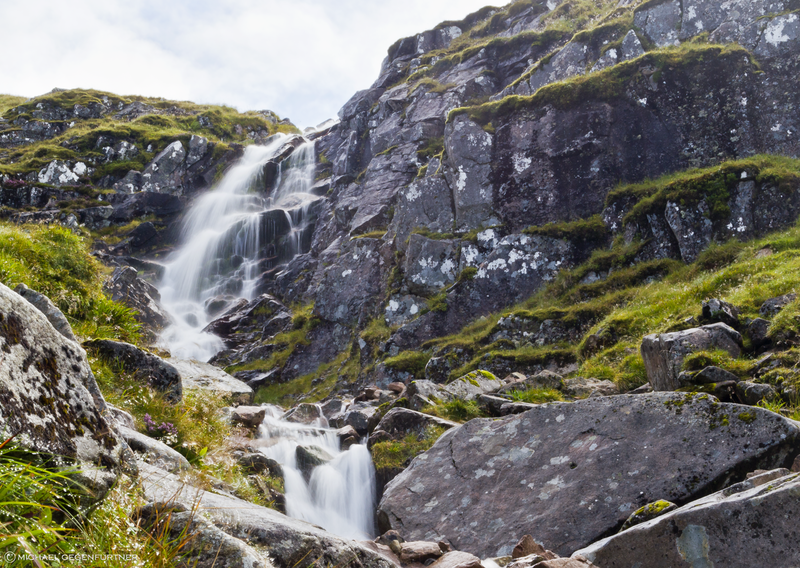 Easy to reach are the sights located in the northeast, the so called Aberdeenshire. Another attraction are the old castles, Scotland has plenty of them. 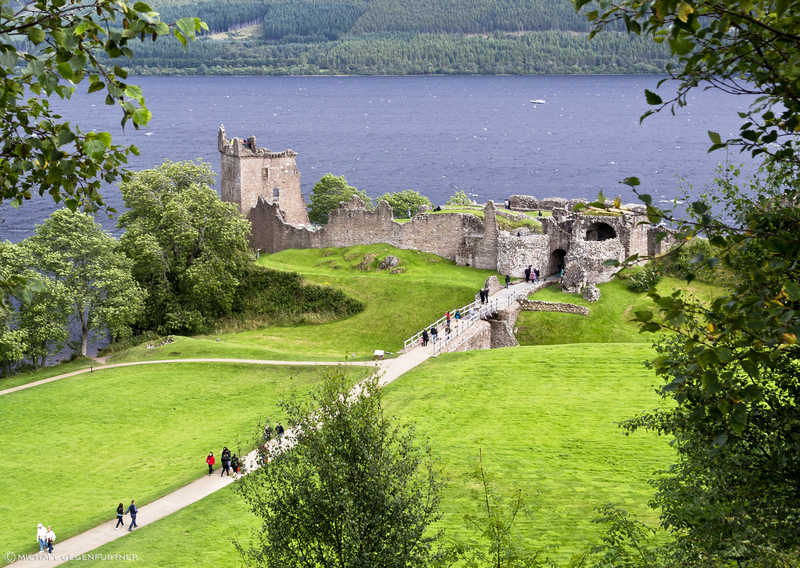 Urquhart Castle next to Loch Ness and Eilean Donan Castle on the way to the Isle of Skye are popular spots. 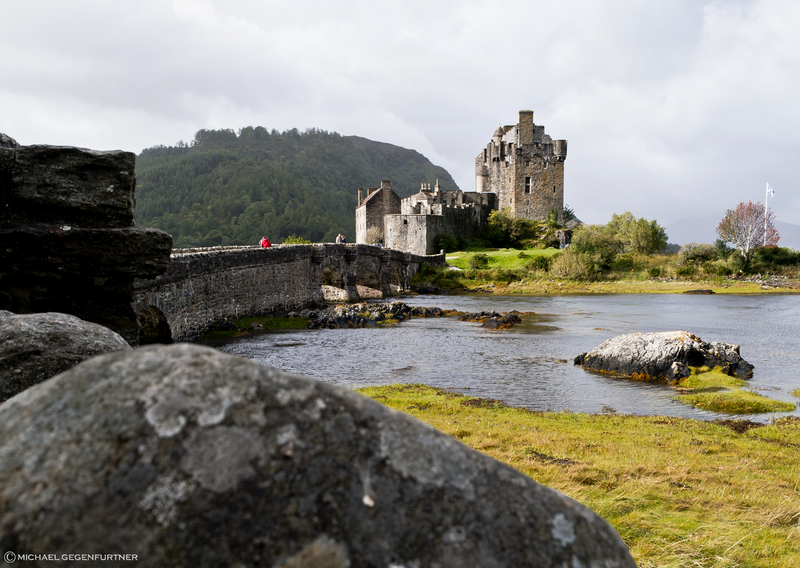 Always keep an eye open while driving, there might be a castle just around the next corner! Lots of famous brands of Scotch Whiskey are produced in the Highlands. Talisker and Glenfiddich are popular examples. Whiskey production in the distillery is a must see as it offers a glimpse of how this special blend is concocted in the traditional way. 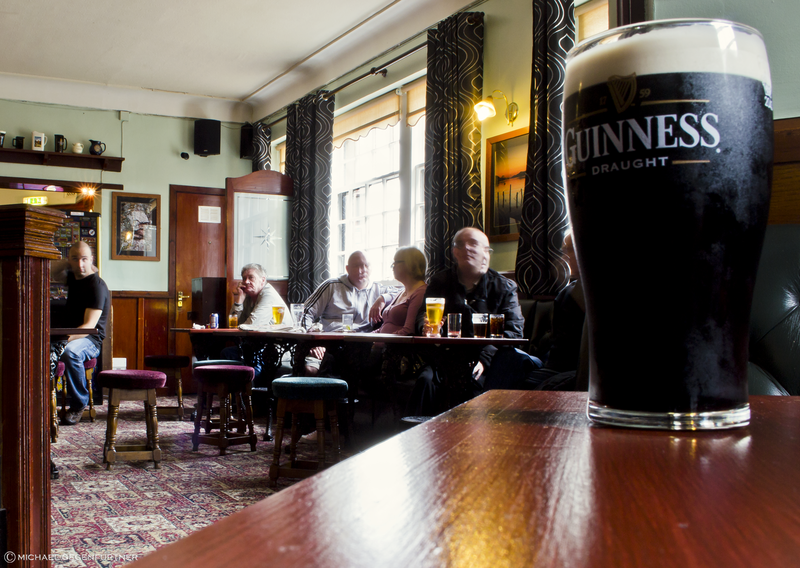 Pubs are part of the culture, a social meeting point for scottish people. beer and delicious, traditional food can be ordered in every pub to make the experience complete. 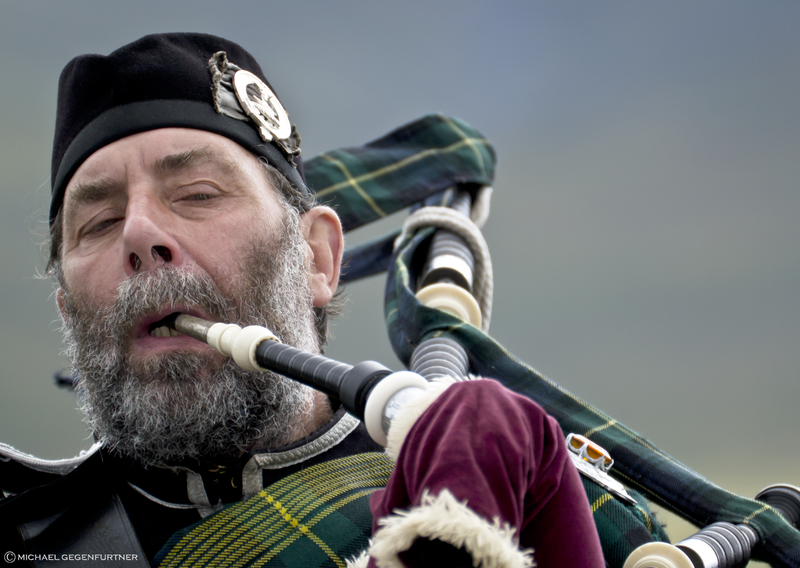 Witness a traditional scottish concert, a must do for tourists. The atmosphere is wearmhearted and cheerful, inviting everyone to dance to the sound of bagpipes and fiddles. A good place to experience this kind of event is the Skipinnish Ceilidh House in Oban. Concerts are organized every second day. 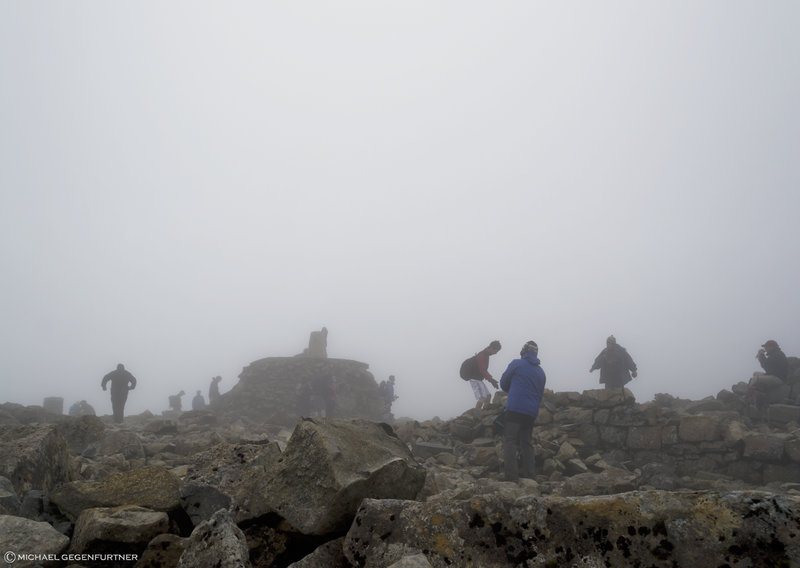 Ben Nevis near Fort William is the highest mountain of Scotland, the peak is 1344 metres above sea level. The hike is quite a challenge, especially with rough weather conditions. Climbers should not over estimate themselves, making sure that they are in good shape. Breathtaking panoramic views and landscapes are part of the hike. By arrival on top, exhaustment will fade away, turning into a feeling of satisfaction, into one of these special ‚Yes I can do it‘ moments. A good point to hop on a boat for wildlife watching is the Isle of Skye. Various operators offer cruises along the shores. 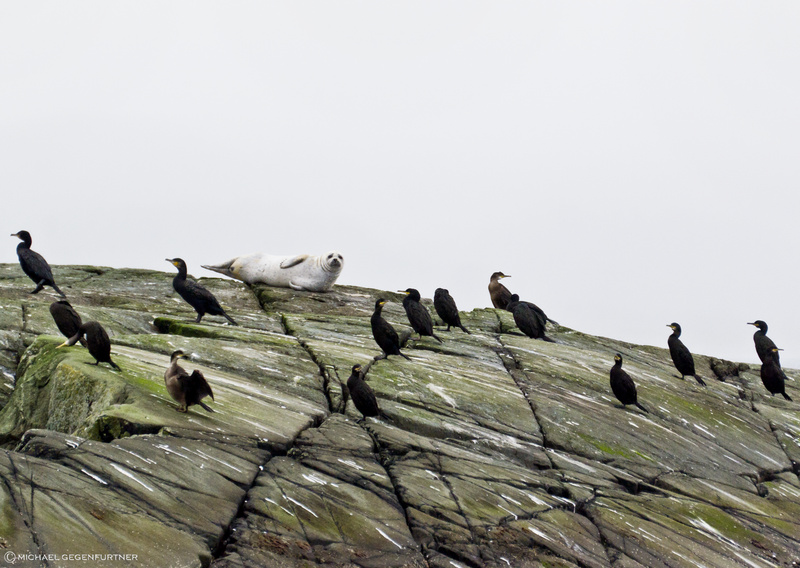 Seals and sea eagles can be observed all year, sharks and even whales can be spotted only during specific seasons. Keep in mind that there is no guarantee since nature is unpredictable! A journey to Scotland is an escape from usual modern city life. Its roads lead back into ancient times in Europe, when wizards, knights, kings and queens used to be rulers of society. It is a place covered in the fog of its mystical past, turning holiday into an important historical event itself. Friends keep on asking why I like the Philippines that much, surprised by the passion in my voice when I am about to tell new stories. A question I keep on asking myself as well! The answer is difficult, there are various aspects which make these islands so unique for me. People are very welcoming, helpful and smiley. Life is pulsating in every corner, there are thousands of new things to discover within a day. 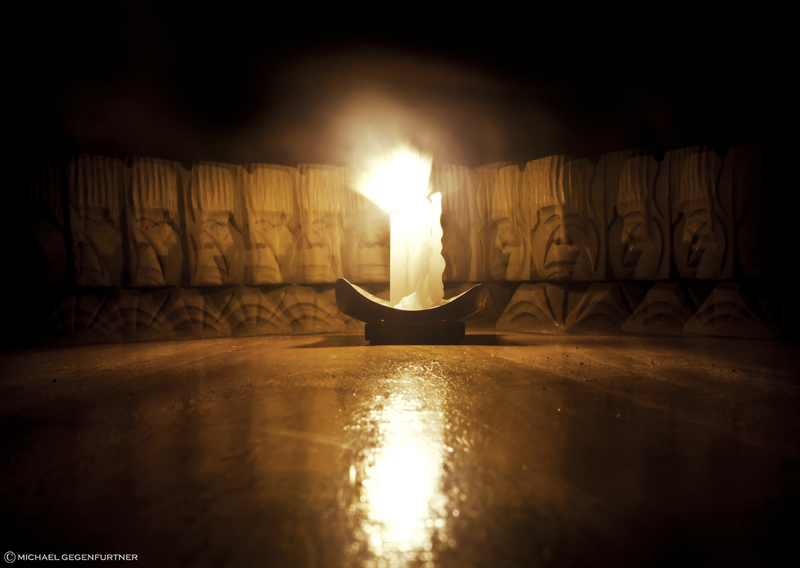 The archipelago is rich of tradition and culture, offering a huge range of undiscovered places afar from tourism. Mountains, jungles, lakes, beaches, huge cities and small tribal villages, all existing side by side within one country. That is the main reason for my fascination of these islands. I refer to the Philippines as my second home, giving me that special feeling of belongingness. Whenever I have time and money to spend on a trip, the Philippines are my first choice to go to! The best point to start a trip to the northern provinces of Luzon is definitely Manila. From this point, the best way to travel is to take a bus. There are two places to begin your trip with. The first one is Banaue. Ohayami bus liner operates direct trips without annoying, time wasting stop overs in Baguio. This trip is suitable for people who like short hikes in order to experience the stunning scenery of the world famous rice terraces, gaining a glimpse inside the culture and tradition of the Ifugao, while maintaining a certain comfort zone. 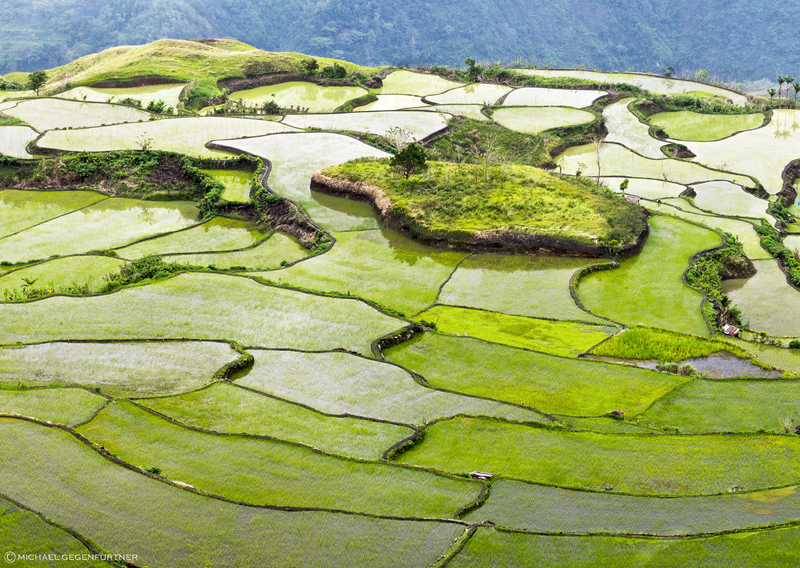 Banaue is the most famous town in the heart of the UNESCO rice terraces, there are plenty of sights to visit. 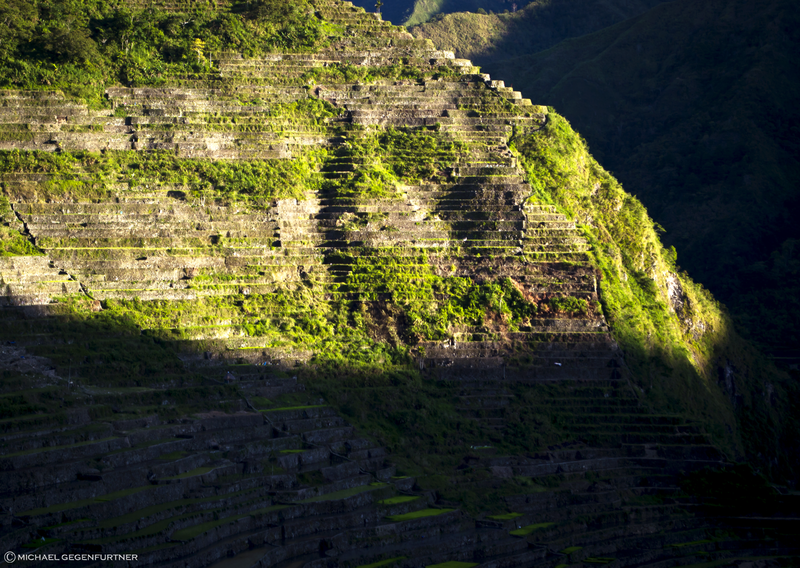 My favourite trip is a hike to the small village of Batad, located in the so called Stairs of Heaven. An amazing view over the huge and massive terraces awaits you, which are sad to be the oldest in the world. From Batad, another three hours hike directly through the terraces is a must do, heading for the beautiful Tappiyah Falls. I recommend to spend one night in this village after the long walk. All the way back to Banaue is too tiring within the same day and if you are lucky, you get to see an amazing sunrise, turning the terraces into gold the next morning! Another must see are the ricefields of Hapao, including a stopover at a hot spring. For accommodation, I highly recommend the Uhaj Lodge. It takes a 30 minutes drive from Banaue to get there but it is worth the effort. 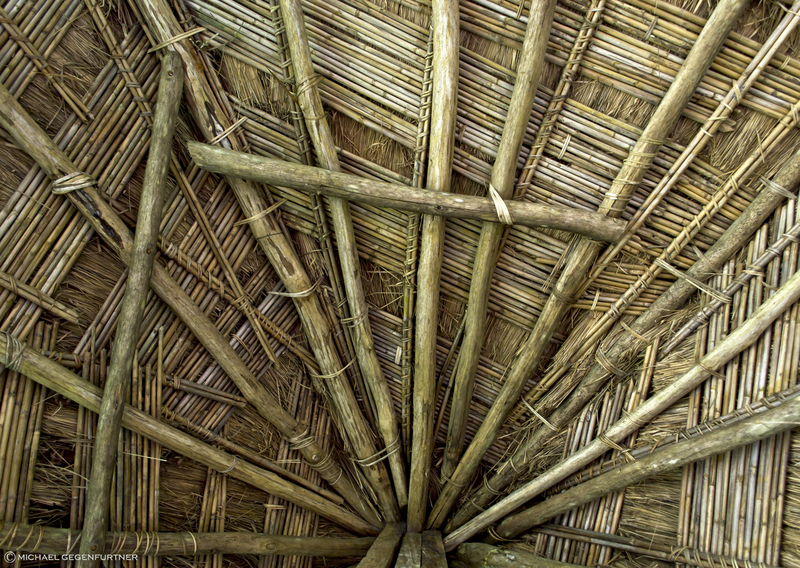 Experience the quietness and special vibes of this place, stay over in a traditional, but very comfortable Ifugao wooden house called kubo. The second option is to jump on a bus to Tabuk City. Once you arrive there, take a ride to the small communities of Poblacion and Luplupa. This trip is perfect for real adventurers and backpackers, being afar from huge tourist groups and luxury hotels. After arrival, head for the Riverside Inn in Luplupa, it is the meeting point for backpackers all around the world. Ask for a tourguide, they know the locals. An insider tip is Victor Bacculi alias Mang Chupper. Victor is a very accomodating and friendly person, someone who is always good for a joke! He knows the area very well and can arrange a lot of nice trips for you. A one day hike to Tulgao is a good choice. It will take you around eight hours, including stunning sights of the rice terraces and Kalingas mountain scenery. 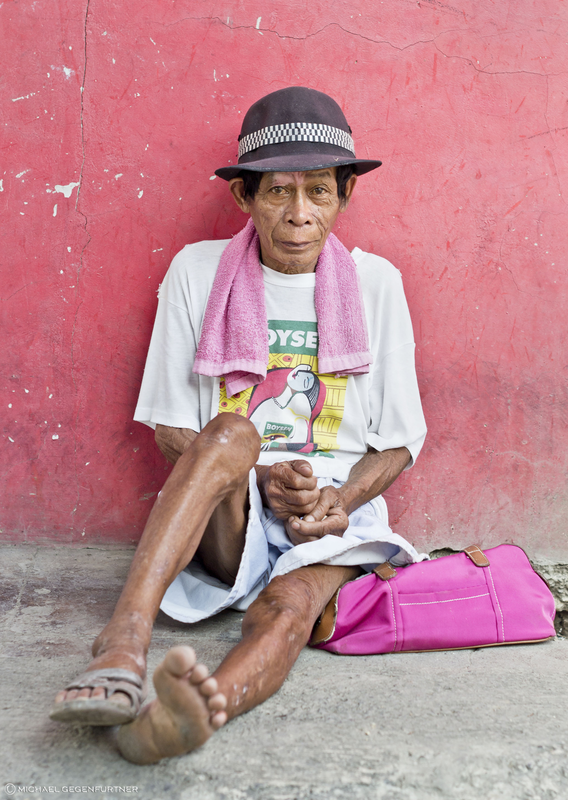 Poblacion and Luplupa are quiet and small villages but once a year, the Unoy Festival is celebrated in March. If you get the chance to travel there during that certain time period, do not miss it. Traditional chants, dances and costumes await you. 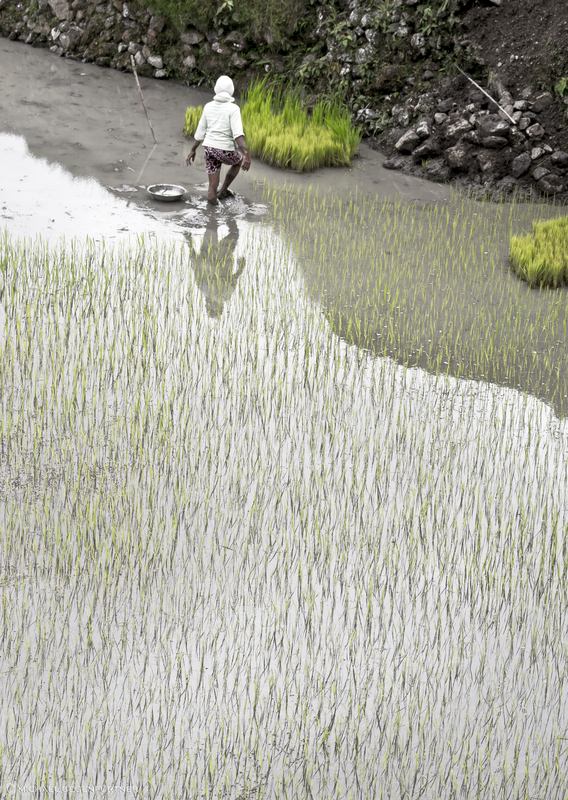 Normally, visitors are invited for some food as well, a good chance to meet with real Kalinga natives. 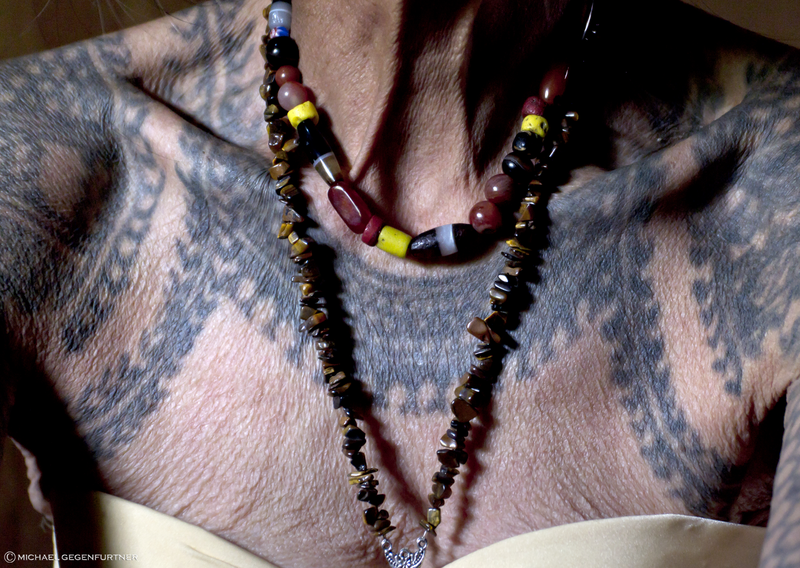 The highlight of this journey is a visit to the village of Buscalan, the home of well known tattoo artist Whang Od. Stay at her house for one or two nights, get to taste real local food and observe the thousand of years old art of handtapped tattooing (or get one on your own?!). An experience you will certainly never forget! Back in Luplupa, get a bus to Sagada and make sure you are early because transportation is rare. Sagada is a charming city which offers a lot of activities. Have a one day hike around the town, take the opportunity to do a limestone cave tour, enjoy the atmosphere of the town and do not forget to pass by Echovalley with its Hanging Coffins. The whole journey will take you five to seven days. Get on an airplane from Manila to Cebu, the center of the Visayas area. It is worth spending at least one day in Cebu City, there are various sights to visit. Some of my personal choices are the Lapulapu Shrine, the Basilica del Santo Niño and the Taoist Temple with its stunning view over the whole city. Take a boat going to Bohol. This island is not only about the Tarsier and the world famous Chocolate Hills. 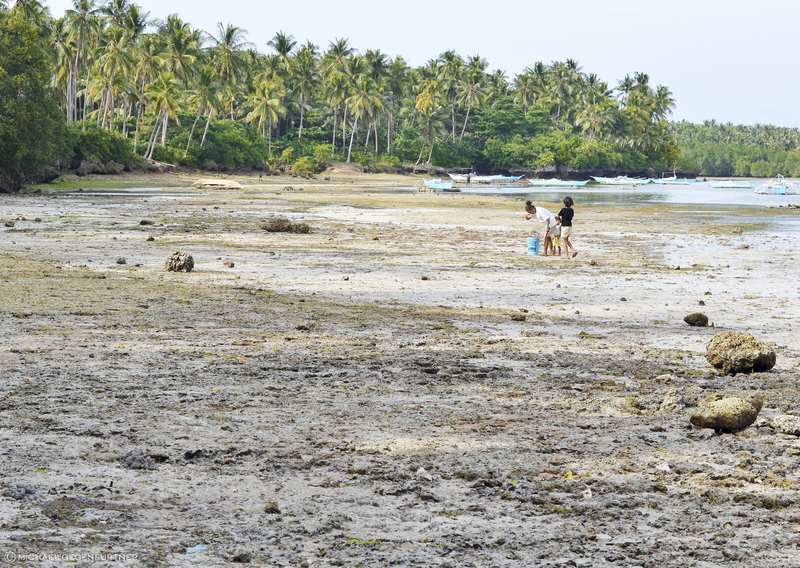 Check out the amazing white sanded beaches, Bohol has plenty of them! If enough time, try to reach a place called Anda, ancient cave drawings can be seen there. 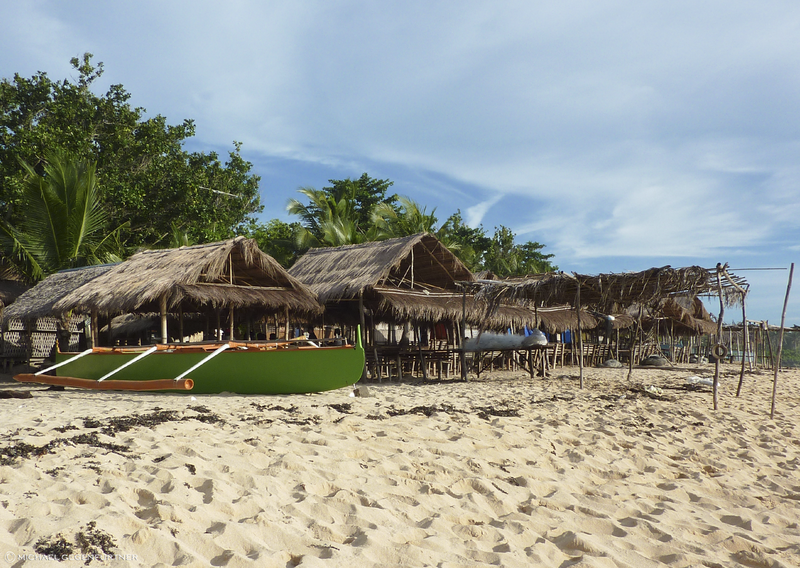 A nice place to look for overnight stays is Panglao Island. It is located in the south-west of Bohol. As a daytrip, I recommend you to get on a bus to Oslob. It gained fame the last years for its butanding, whalesharks, which can be constantly seen few metres offshore the coast. 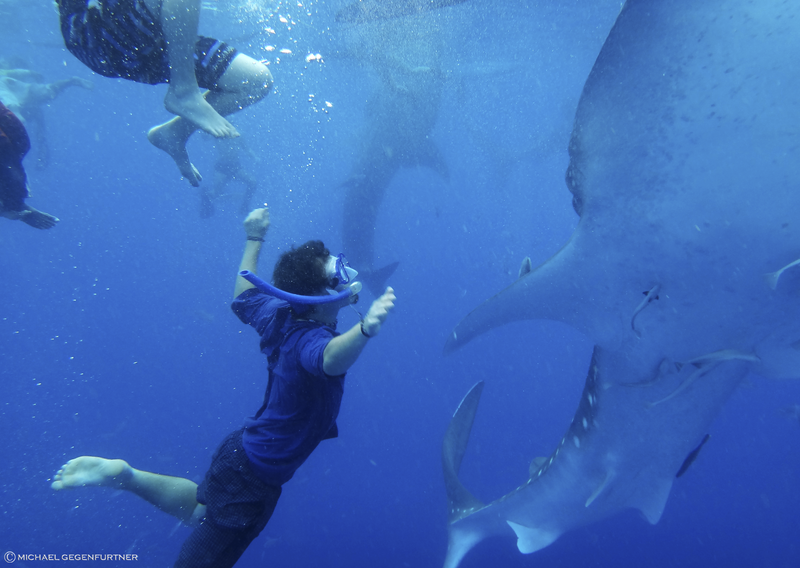 To swim with the biggest living fish on earth is a must experience for everyone who loves the sea. Before going back to Cebu, do not forget a short stop over for the nearby located Tumalog Falls, they are fantastic. If you like the beach, the sea and its living creatures, Malapascua Island is absolutely the perfect destination for you. Take a bus from Cebu City to Maya. Everyday, there are plenty bangka rides from Maya port heading to Malapascua. Get informed about the islands divespots. Depending on the season, hammerhead sharks, manta rays and even tresher sharks can be spotted. If you never tried diving, this is the time! 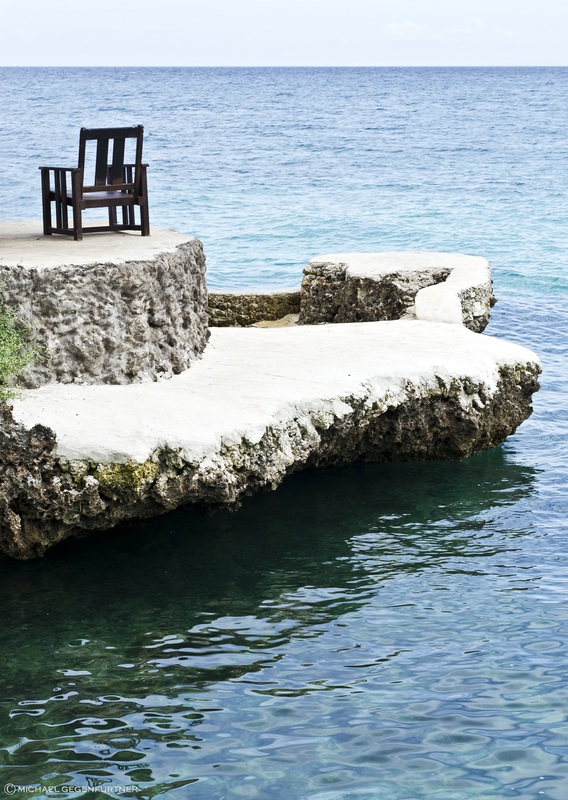 Another possible trip along the shores of Cebu is a journey to the Camotes Islands. This archipelago consists of the three major islands, Pacijan Island, Poro Island, Ponson Island and one islet named Tulang Diot. It is a nice and quiet place which allows you to calm down and enjoy the sea, located afar from the crouded tourist spots of Cebu. There are few choices for accomodation, my personal suggestions are the Mangodlong Paradise Beach Resort and the Santiago Bay and Garden Resort, both easy to reach, located on Pacijan Island. Go and explore the islands by renting out a jeep. Destinations you should not miss are Lake Danao, one of the cleanest lakes in the whole country, and Tulad Diot, which can only be reached by another boat ride. Plan five to seven days for this tour. Fly to Puerto Princesa, the capital of Palawan. There are various spots to look forward to. Island hopping around Honda Bay and a trip to the Underground River near Sabang are very popular daytrips. 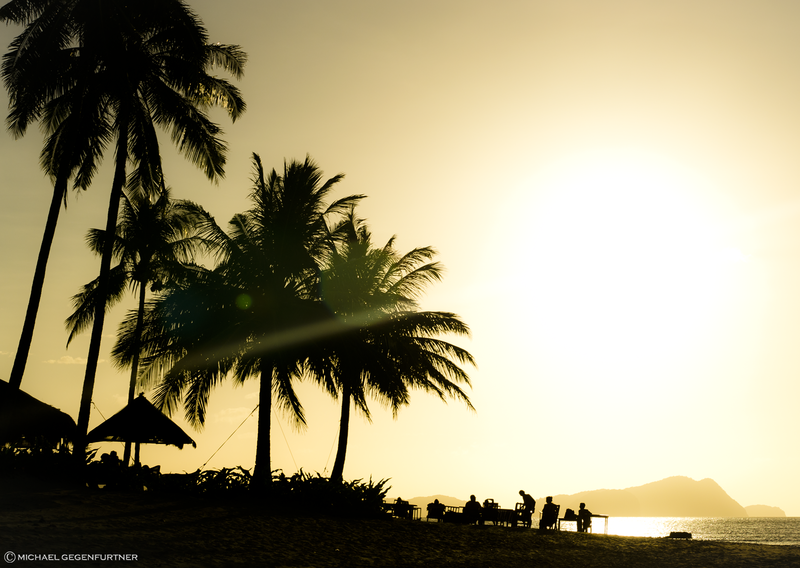 Explore the north of Palawan and travel to El Nido, a hot spot of the main island. This area is formed by an impressive landscape. Thousands of small bays, beaches and lagoons can be explored by boat. Do not forget to bring snorkel and mask, clownfish, sea turtles and many other colorful sea creatures can be seen along the shore. There are plenty of possibilities to dive as well! If you got some spare time, try kayaking around the area. It is a good chance to discover many of the untouched, lovely islands and bays by your own. Make sure you do not go to far, some people got lost already! Instead of travelling to the main island, there are other awesome spots in the very north of Palawan, the area around Busuanga Island. 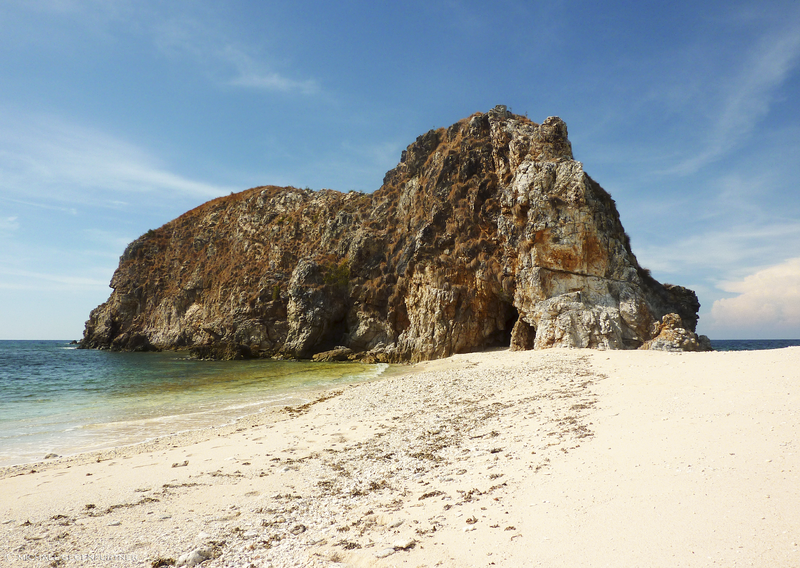 Busuanga itself offers amazing places to visit, shaped by hills, beaches and mangrove forests. My favourite choice to stay at is El Rio y Mar, a quite costly but luxurious resort in the middle of nature. Go kayaking in the nearby mangrove forests, snorkel with a huge dugong, also called sea pig, or hop from island to island around the area, everything is possible. 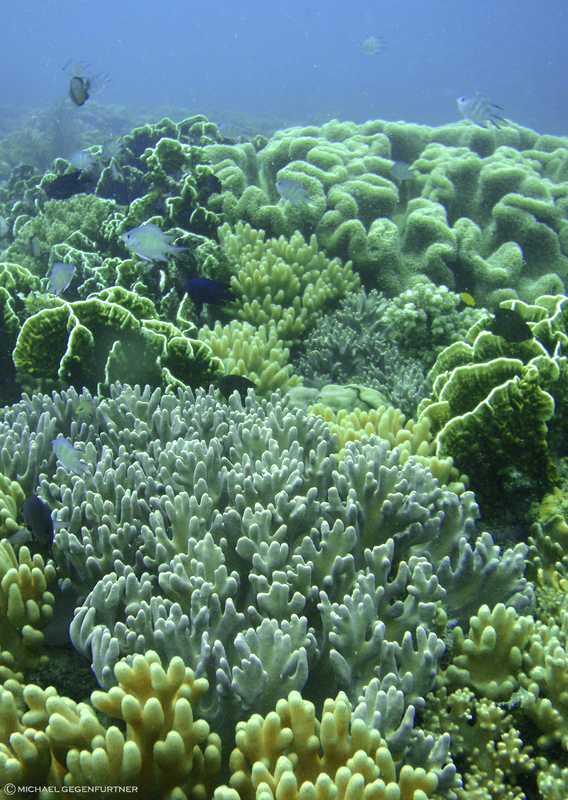 On inquiry, even snorkel and dive trips to the world famous Apo Reef can be organised. Coron Island is a popular destination as well. If you are interested in wreck diving, this is the perfect spot in order to give it a try, there are many japanese shipwreck sights, old remains from World War II. The estimated time for this trip are four to five days. 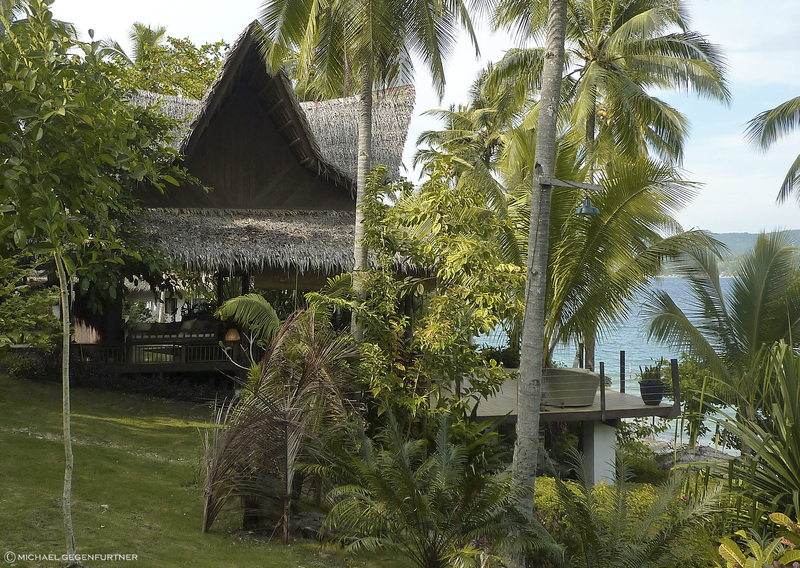 Take an airplane to Davao, the capital of the south. There are some attractions around the town, the Philippine Eagle Center is worth a visit. Afterwards, get on a boat to the island of Talikud, a pretty small but lovely place. I advise you to stay over a few nights, it is the perfect spot to have a smooth chillout. In case you are tired of all the beach and the sea, you might chose the highland province of Bukidnon as your last destination. It is easy to reach from Davao, just get on a bus going to the capital city of Malaybalay. It is said to be heaven for outdoor adventure enthusiasts. It offers a wide range of eco-adventure activities, such as mountain climbing, trekking and rappeling. A good place to start with is the Dahilayan Adventure Park, located at the foot of Mount Kitanglad. There are plenty of activities to partake. The highlight is definitely its zipline which is the longest in Asia! 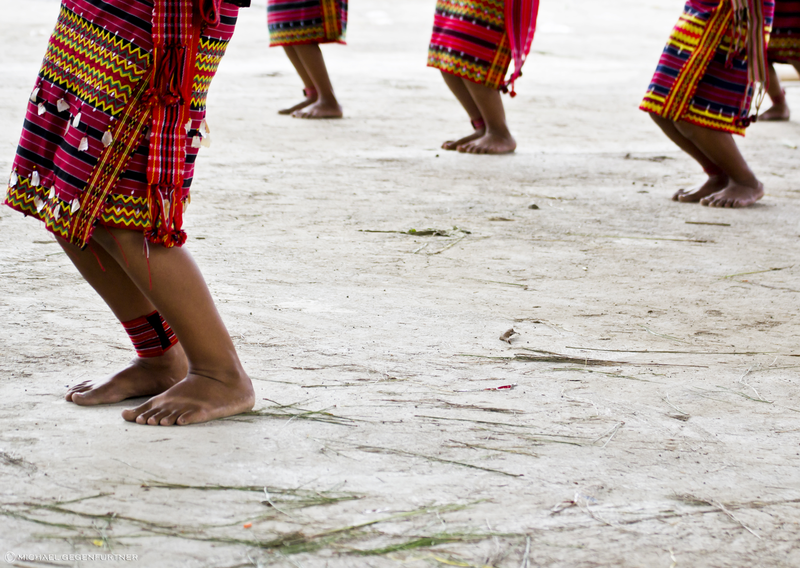 Bukidnon also boasts of cultural heritage and traditions. Try to join the Kaamulan Festival in Malaybalay City, taking part in the second half of February to March 10. 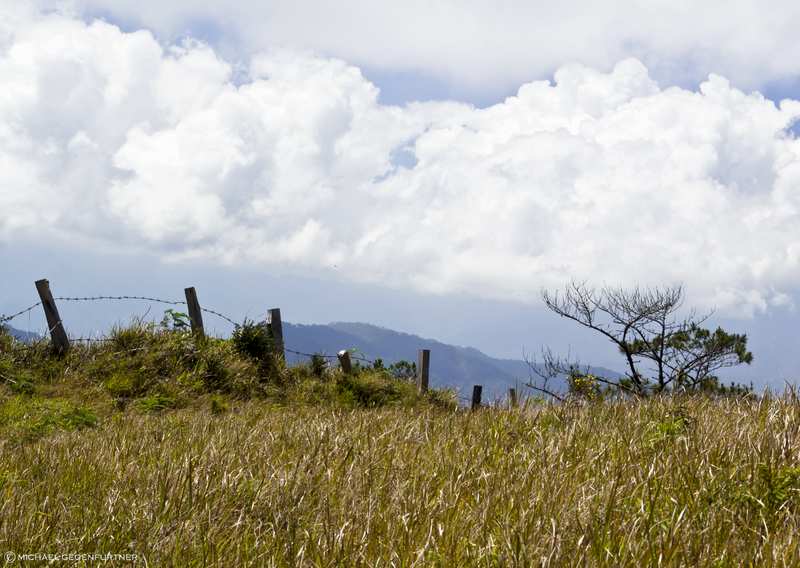 Consider three to four days, few more days if you plan to visit Bukidnon. There are too many things to do, too many places to visit, the list of possible destinations is almost infinite! Nevertheless, I hope I gave you an idea on where to go, showing you the potential this country has to offer for your next holiday. No matter which places you choose to visit, it always will be a great experience!